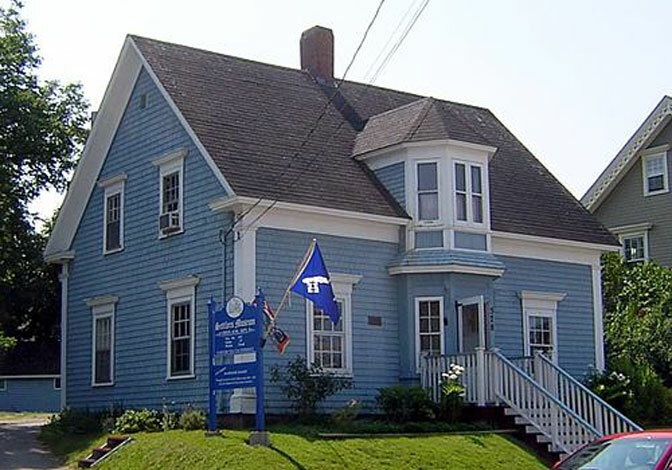 Located in the heart of beautiful downtown Mahone Bay, the Mahone Bay Museum is a community museum led by a Board of dedicated volunteers and a small staff. The Mahone Bay Founders Society is our parent organization, a membership based, registered charity. The Museum provides visitors and locals alike with an in-depth understanding of our community's heritage. Although closed to the public in the winter months, we are never dormant. Each year we feature new displays, so all winter long our hard-working volunteers are busy preparing and organizing the displays for the next season. In June, we open our doors to the public. Please contact us for exact dates!